One of the aspects I liked best in the story was how the pacing kept you engaged the entire time. If there were moments where the action subsided, it was to make way for instances of character development and major decision making on the part of Caralee and Sam and/or Teddy. As a character, Teddy was probably the most interesting to me. You can tangibly feel his struggle as he wars with himself over his friend Sam and the girl he adores, Cara. Cara was nice, but I felt like there were quite a few moments where I kind of wanted to shake some sense into her...but that's just me. This book is STEAMY! There are a lot of tense, romantic moments full of that lingering doubt, the trust, the passion between love interests that just makes a book tantalizing and difficult to put down. The writing style of the love scenes did get a little confusing for me at times, as I had a little trouble understanding who was doing what to whom, but overall it was still a tantalizingly fun ride. Overall, Angles has a lot going for it. 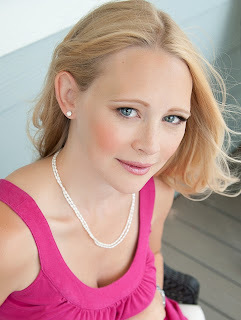 Erin Lockwood is a talented author that I will definitely be keeping an eye out for. Considering that this book is titled "Angles: Part 1", I'm assuming we can be on the lookout for at least one more edition in this series, and possibly more to come! 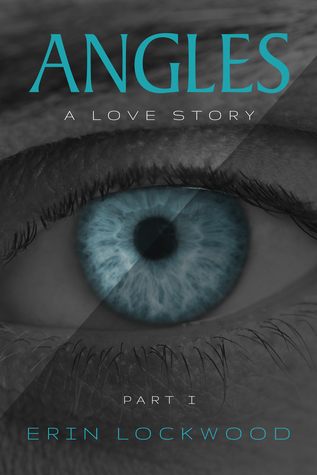 Erin will be awarding a Mobi copy of Angles to 4 randomly drawn winners via rafflecopter during the tour. Hi Ally, I appreciate your enthusiasm for questions for Erin! In the future, please put them all in one place. My Spam filter is reading all of your repeated posts as inappropriate. Congrats to the author on the new book and the tour! Thanks for sharing and for the great review! Thank you! Angles is my debut novel. It's not easy to put yourself out there but I've found a lot of support. I appreciate yours! Thank you for posting a review! I'm so glad you enjoyed it! Sometimes I want to shake some sense into Cara too :) Angles - Part II will likely be available August 1st. Thanks for stopping by Erin! It was a fun read :D What's going on in your neck of the woods today? Victoria, I hope you enjoy it! I really enjoyed reading the excerpt. Looking forward to checking out this book!